Remember my post on Brioni’s latest collection? The ‘zaddy’ is in fashion. And for real good, according to Junya Watanabe. Stylish daddies united in the designer’s autumn-winter 2019 collection shown during Paris fashion week. Aged 40 and up, those guys looked far cooler than today’s teen ‘influencers’ (ad that’s a 19-year-old’s honest opinion, by the way). Watanabe focused on reinterpreted workwear and everyday essentials, done in his signature patchwork style. There were those grown-up, day-blazers and not-too-formal shirts, but as well a lot of cropped silhouettes (like one of the corduroy pants) and, oh my, yes, Breton-stripe tops. All that topped with those very well-nurtured beards. Junya called the entire line-up ‘silver swagger’. Jokes aside, but ageism is a problem in modelling across all genders – so seeing an entire collection worn by mature men, who aren’t necessarily professional models, is refreshing. Into this. Lemaire’s menswear collections aren’t obvious, but also not over-complicated. They aren’t drowned in Instaworthy runways. They just are, presented in a showroom and in their look-book. But what’s most admirable about Christophe Lemaire and Sarah-Linh Tran’s contribution to menswear is that their designs always look timeless. Even if the designers mention any inspirations, those musings are very personal and not too literal. “There are some references, like Nick Cave. His Birthday Party period, when he used to have his suits made in Hong Kong. Slightly ’70s,” Christophe said. But the two wanted to focus more on the shape this season. Tran added: “The silhouette is maybe more defined, and the shoulder more shaped than in previous seasons.” From loosely fitted blazers and classic trench coats to signature ‘work’ shirts and Portuguese, heeled boots, I want every single thing from this line-up. Even the berets, made in collaboration with Laulhère, look compelling. 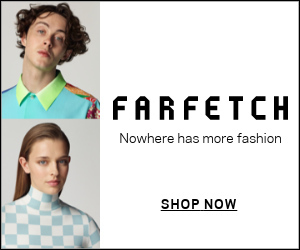 While Sarah and Christophe surely had something else on their mind, I kind of see their autumn-winter 2019 collection as the wardrobe of some Paris-based archaeologist, maybe historian, who actually looks very chic (in an intellectual way)… just a thought. Virgil Abloh‘s second season at men’s Louis Vuitton. I’m not a fan of Abloh’s aesthetic in general, and I never really got the point of Off-White’s hype. But, his work at Vuitton is somewhat ‘profound’. It’s global. But not solely in the sense of more store openings, more celebrities wearing LV (even though those boxes are all checked, of course). The designer looks at the term ‘cultural diversity’ and bravely nods to it in his work. And, while Louis Vuitton is a huge platform, talking about important matters through clothes and events is more than respectful. For autumn-winter 2019, Virgil looked to the late Michael Jackson, setting the scene on a replica of New York street seen in the ‘Billie Jean’ video. Music is always the key for Virgil (who you surely know is also a free-lance DJ). Dev Hynes (!) and Ian Isiah performed new songs. Other than that, there was a live graffiti installation. This wasn’t a stiff fashion show, but a vibrant performance. Models weaved through the ‘street’ wearing flag print, intarsia fur coats and collars, tour-merch-style t-shirts, embellished jumpers and monogram embossed duvet jackets (their super-inflated effect looked impressive in leather). Jackson-inspired beaded, white gloves and jackets appeared as well. There are pieces that will disappear from the shelves immediately (like the over-sized jackets and bold bags) and garments that need more fashion courage (like the multi-layered blazers and pleated skirt-pants). I won’t say it’s a favourite for me, but you definitely can’t ignore this outing. Haven’t written about Alexandre Mattiussi‘s Ami for a while. But when I saw the brand’s womenswear, now getting bigger and better than ever, I kind of fell in love with this brand again. The Ami man and woman walk together, shoulder-to-shoulder, very, very well. Mattiussi called the collection “an homage to the bourgeoisie” and said he imagined his men and women as the sons and daughters of old Parisian money who were going for tea with their grandmothers, but planned big nights ahead. The many shades of beige, from coffee noisette to ecru, looked quintessentially Parisian, and the pink-ish and green-ish colour drops well added up to the palette. The boys wore shearling jackets and hoodies with Eiffel tower prints, while the girls had masculine coats, blazers and floor-sweeping shirt-dresses on. CHIC.